An “enka” artist born in Higashi Osaka City, Osaka. In 1979, released self-produced record from Columbia Records. In 1986, made her major debut, but despite her persistence advertising, did not attain success. In 1991, the single record “Kawachi Otokobushi” released 2 years before started gaining popularity in Osaka via word of mouth. As a result, the song placed high on request rankings at 2 cable radio companies. 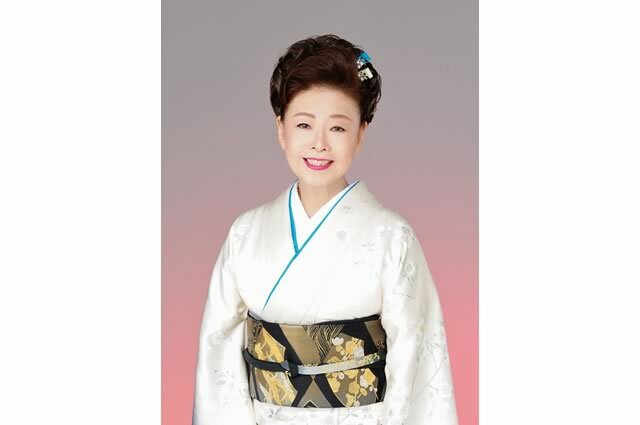 Nakamura made her break soon after and became a long-term host mc for the program “Enka Ichiya” (Osaka TV). Her down-to-earth talks and accessible personality gained popularity amongst viewers. In 1992, made her first appearance at “The 43rd NHK Kouhaku Uta Gassen” with the song “Kawachi Otokobushi”. Since then, she has become a familiar face in many music programs and attained considerable success. By “The 62nd NHK Kouhaku Uta Gassen”, she had performed a total of 15 times in the annual “NHK Kouhaku Uta Gassen”.